Dr. Andrew M. Lipton, D.O. Dr. Lipton is a 1991 graduate of the University of Health Sciences College of Osteopathic Medicine, Kansas City, Missouri. The D.O. or Doctor of Osteopathy is a degree in medicine combined with training in Osteopathic Manipulation. Osteopathy was founded in Missouri and there are only fifteen schools that train physicians in this technique. Dr. Lipton has taken advanced training in OMT and is certified by the American Osteopathic Board of NeuroMusculoSkeletal Medicine. Dr. Andrew M. Lipton, D.O. 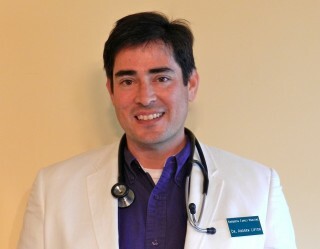 completed his residency in Family Medicine at Suburban General Hospital, Norristown, Pennsylvania and is Board Certified in Family Medicine. Dr. Lipton was trained in Chelation Therapy by the American College for Advancement in Medicine, a group of physicians dedicated to being open to new alternatives in medicine. Dr. Lipton is also certified by the American Board of Chelation Therapy.